Are you ready to strip fear's power over you and become the confident woman you were meant to be? Have you found that tolerating your personal fear monsters only makes them growl louder? Okay, sister - take my hand and let's boldly step up and yank the masks off those shadow-lurking, anxiety-churning, worry-generating beasts. With fresh spiritual insight, Debora shares hope, true life stories, scriptural lifelines, and a few LOL's along with simple, practical tips for sidestepping fear with faith. And a fistful of chocolate! This is the second book I've read by Debora Coty, and I enjoyed it as much as the first. 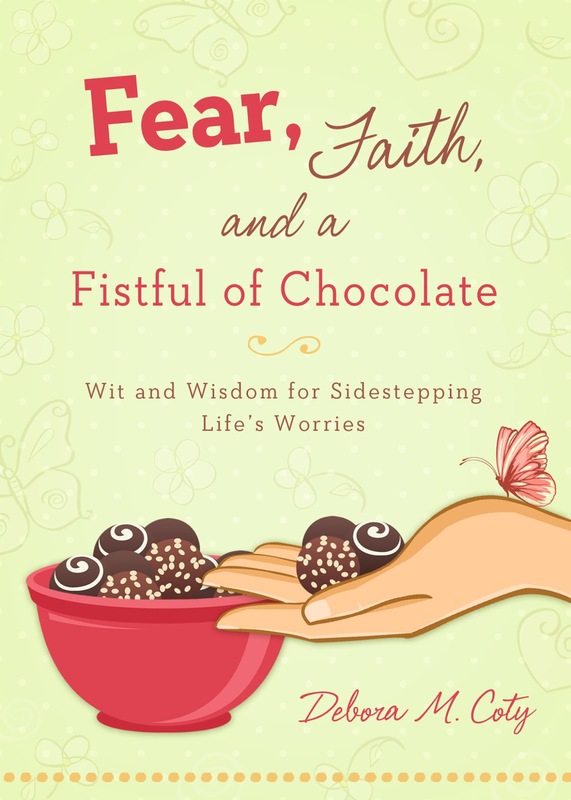 Fear, Faith, and a Fistful of Chocolate was just what I needed. As soon as I read the title I knew this one was for me! Fear rears it's ugly little head in my life more than I care to admit, but it's nice to know that others deal with the same issues and understand. Debora takes a look at fear and ministers with uplifting humor and personal stories of her own. I think there is something in this book for everyone! *Litfuse Publicity Group has provided me with a complimentary copy of this book for my honest review. ~ Thanks! Debora Coty is an occupational therapist, a piano teacher, and a freelance writer. She's also involved in the children's ministry at her church and is an avid tennis player. Debora began writing to fill the void when her last child left for college, and it has since become a passion. Debora has a real knack for getting across sound biblical concepts with a refreshing lightheartedness as attested in her monthly newspaper column entitled "Grace Notes: God's Grace for Everyday Living."